Fight Time 29: Remembering Howard Davis Jr.
On Dec. 30, 2015, Olympic gold medalist boxer Howard Davis, Jr. passed away from lung cancer. The former pro boxer had a legacy that reached into the MMA world, where he served as a trainer for American Top Team and promoted the Florida-based Fight Time Promotions mixed martial arts shows. Now, Fight Time is on its 29th event, which will air on the CBS Sports Network. The promotion is honoring Davis with a card topped by its featherweight champion, Jason Soares. Soares will defend his title against challenger Danny Chavez. The 26-year-old Soares might not be a familiar name to all MMA fans, but his competitive and coaching credits include appearances on American Ninja Warrior and assistant coaching gigs on The Ultimate Fighter as part of the staffs of Ross Pearson and Dominick Cruz. He was also a contestant on TUF 22, but he failed to advance past Julian Erosa and make it into the TUF house. The Freestyle Fighting Academy product overcame serious injuries from a motorcycle accident which occurred roughly six years ago to put together a successful MMA career. “The Specimen” has taken top honors in FILA grappling competition and has six submission wins among his eight total pro victories. Most of his opponents have floated around the .500 mark. He claimed the Fight Time featherweight gold in 2014 with an armbar finish of .500 fighter Randy Barosso and fought just once in 2015 in a non-title scrap with Paulo Silva. Soares defeated Silva by way of a unanimous decision. The 28-year-old Chavez will be the second consecutive MMA Masters fighter to clash with Soares. “The Colombian Warrior” debuted in 2010 and won his first four fights via unanimous decision. Along the way, he handed out the first career losses to opponents Justin Steave and Humberto Rodriguez. While fighting for the Championship Fighting Alliance, which was then a regional heavyweight among Florida’s promotions, Chavez suffered his first pro loss to fellow prospect Jordan Parsons in a five-round featherweight tournament finals bout. Chavez rebounded with another unanimous nod under the CFA banner and followed it up with wins in the House of Fame and Fight Time promotions. His recent winning streak has also been comprised entirely of decision victories, including adding the first loss to the record of up-and-comer Anderson Hutchinson. Soares has enjoyed some high-profile spots in his career, but there are still lingering questions about how he’ll do against slightly tougher competition. He was ousted from TUF 22 by Erosa in a hard-fought contest, but that showing doesn’t help the argument that Soares can leave .500 competition in the rearview mirror and excel against fighters with true winning marks. In this regard, Chavez will definitely put Soares to the test. Both of these featherweight competitors have suffocating ground-based games, but those games are vastly different. Soares aims to gets his opponents to the mat and remains relentless as he pursues submissions. Chavez is more apt to settle into top position and batter opponents with a ruthless barrage of ground-and-pound strikes. Soares’ approach is much more likely to garner a finish at the pro level, but Chavez has been very effective in swaying the judges in his favor. If this contest plays out on the feet, the striking advantage goes to Chavez. However, the winner of this contest is more likely to be the fighter who can exert his will in the takedown and grappling departments. Soares is a more active grappler, but he’ll struggle to emerge victorious if he can’t keep Chavez from gaining top position. This could be a close fight, and a split decision outcome wouldn’t be a shocker at all, but Chavez has a history of handing out the first pro loss to his opponents and Soares is likely to become the next victim on Chavez’s list. Featherweights also take the spotlight in Finland’s Cage promotion. There’s not a title on the line, but Rafael Domingos will risk his undefeated record in the headlining bout against Rafael Macedo at Cage’s 34th offering. Domingos is a Brazilian Jiu-Jitsu black belt and a three-time world champion in the discipline. The Demian Maia disciple made his MMA debut in 2011 and has slowly compiled an undefeated mark through six fights while continuing to compete in BJJ. The grappler has submitted five of his opponents. The Brazilian has fought exclusively in Finland and primarily under the Cage banner. He has faced mostly inexperienced foes, and his best potential match-up, against future UFC fighter Mickael Lebout, was scrapped when his opponent suffered an injury. Macedo is another Brazilian fighter who has relocated to make Europe the home base for his MMA pursuits. The 29-year-old debuted in 2011 and immediately confronted solid, experienced competition and emerged with victories over the likes of Edilson Teixeira and Jairo Soares while streaking out to a 5-0 mark with stoppages in all of his outings. Macedo suffered his first loss in 2012 when he suffered a doctor’s stoppage TKO loss to UFC veteran and future Bellator fighter John Teixeira. 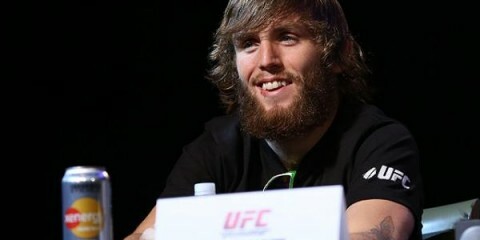 The Swedish Top Team product responded by winning two of his next three fights. His Cage promotional debut came in 2015 against Joni Salovaara, but the bout ended in a no-contest. 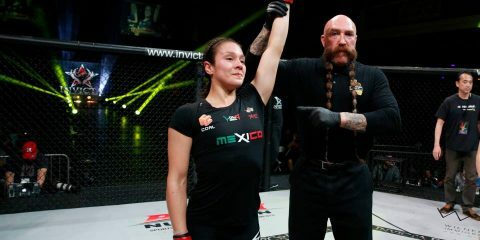 “The Butcher” has five submission wins and two finishes via strikes. The theme of this week’s best regional contests seems to be a test of an undefeated prospect against a step up in competition. Domingos has posted an excellent record through his first six fights, but now he’s locking horns with a fellow prospect who has been victimizing veterans since the early days of his career. Can Domingos continue his winning ways, or will Macedo derail the decorated grappler? The one near guarantee is that this fight ends in a finish. Each fighter has seen the scorecards just one time in their professional careers. Meanwhile, their submission rates have been extremely high. While Macedo has been extremely effective on the mat, he’s going to face a much tougher struggle against a world-class BJJ practitioner like Domingos. Macedo has upset some experienced fighters, but he’s strongest on the mat. That’s not going to work to his advantage against Domingos. 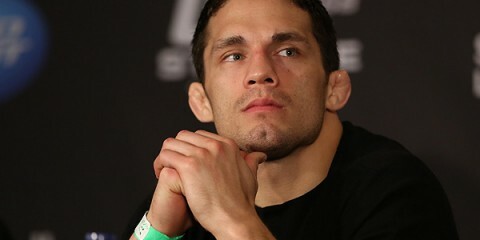 The Demian Maia product will keep his unblemished record intact and hand Macedo the first submission loss of his career. Shooto Brazil returns to UFC Fight Pass airwaves this weekend with its 61st offering. There are plenty of prospects on the card who are still in the infancy of their pro careers, but the event also host two veteran light heavyweights who have had long campaigns in their attempts to reach the big show. Ronny Markes, who has already seen the inside of the Octagon for one five-fight stint, headlines Shooto Brazil 61 against Cássio “Jacare” de Oliveira, a veteran Brazilian journeyman still seeking his opportunity with a major promotion. 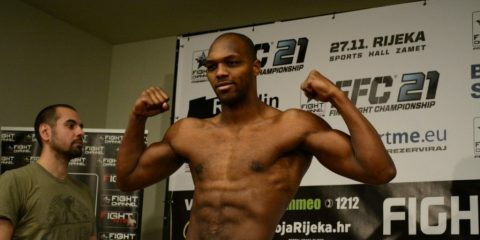 The 27-year-old Markes is one of Nova União’s most successful fighters in the heavier weight classes. He debuted in 2007 and went 10-1 before facing star fighter Paulo Filho in 2011. Markes notched a decision win over Filho and earned a call from the UFC. He made his Octagon debut with a decision win over Karlos Vemola and then moved down to middleweight, where he topped Aaron Simpson and Andrew Craig via decision. Markes couldn’t keep his momentum going, however. He was paired with rising contender Yoel Romero in his next fight and suffered a third-round TKO loss. His next fight, against Thiago Santos, lasted just 53 seconds before Santos put Markes away via strikes. The Brazilian returned to light heavyweight after parting ways with the UFC and defeated Cully Butterfield under the World Series of Fighting banner. His 2015 campaign was marred by disaster. He was replaced by Matt Hamill in a scheduled WSOF 19 bout against Thiago Silva and was hospitalized before weigh-ins for his WSOF 20 bout with Dave Branch. Jacare carries the same nickname as a well-known middleweight on the UFC roster, but that’s where the comparison to Ronaldo Souza mostly ends. 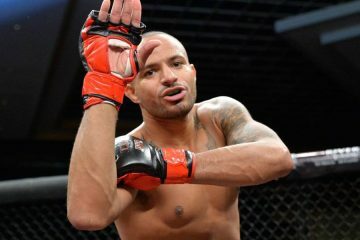 The 32-year-old de Oliveira debuted in 2009 and won seven of his first eight fights, but then hit a rough patch where he lost two in a row and fought to a draw against Joao Paulo. De Oliveira recovered to win nine of his next 10, but his 2015 campaign had its own share of failures. He dropped his first contest of the year via unanimous decision to Silmar Rodrigo. His next outing of 2015 resulted in a 12-second TKO loss to Gadzhimurad Antigulov. Jacare’s resume is heavy on submission wins — 10 — but he has suffered four losses via strikes. The big variable in this fight relates to Markes and his health. He had trouble in his last weigh-in attempt and ended up in the hospital. Markes hasn’t fought since 2014 and could face an uphill battle after his recent health issues. Jacare isn’t the most dominant fighter out there, though. This is a guy that Markes, at his finest, should be able to defeat. Markes, a Brazilian Jiu-Jitsu black belt, won’t be threatened by Jacare on the mat, and his striking should carry him to the decision win if he can’t finish de Oliveira via TKO before the final bell.